Irish children’s books author Eoin Colfer is teaming up with Marvel to write a new Iron Man novel for young adults. 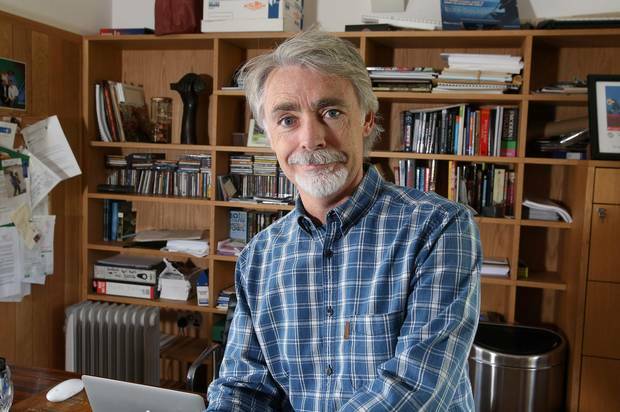 Eoin Colfer, famous for his Artemis Fowl book series, is a former primary school teacher from Wexford in the Republic of Ireland. Marvel said Eoin Colfer had created “an electrifying new take on the Marvel universe’s most famous billionaire super hero”. Announcing the news, a Marvel spokesperson said: “Prepare to strap-in and enjoy these new adventures from some of the most critically-acclaimed authors working today. Kenneth Branagh has signed up to direct the Artemis Fowl movie. Eoin Colfer also penned the sixth installment to Douglas Adams’ The Hitchhiker’s Guide to the Galaxy. 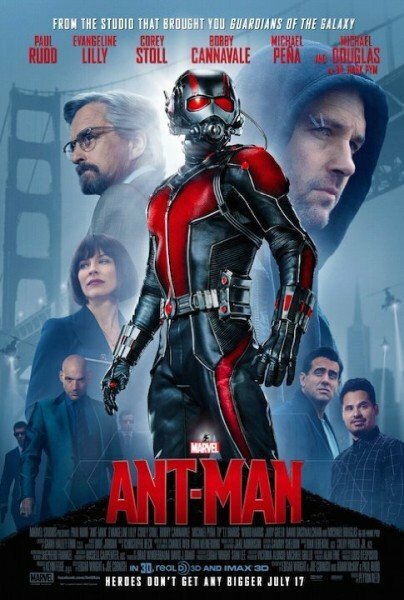 Marvel’s Ant-Man has topped the North American box office, earning $58 million in its first weekend on release. Ant-Man, which stars Paul Rudd as a thief who is recruited to become a shrinking action hero, bumped Minions off the top of the box office chart. The movie’s first weekend takings were lower than for other major Marvel films like Captain America and Iron Man. 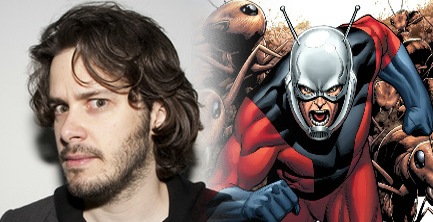 Ant-Man’s $130 million budget was also smaller than most Marvel blockbusters. Minions made $50.2 million between Friday and Sunday, putting it in second place, according to studio estimates. Romantic comedy Trainwreck, written by and starring Amy Schumer, exceeded expectations to earn $30.2 million and third place. Pixar’s Inside Out was at No 4 with $11.6 million, closely followed by Jurassic World, with $11.4 million. That made the dinosaur thriller only the fourth movie in history to have made more than $600 million at North American box offices, behind Avatar, Titanic and Avengers Assemble. Marvel adventure Guardians of the Galaxy has topped the North American box office in its debut weekend, taking $94 million. 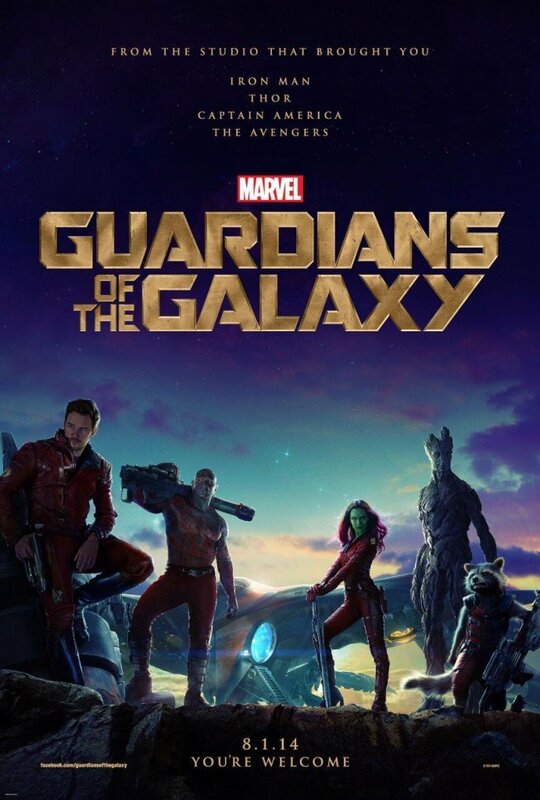 Guardians of the Galaxy, which stars some of the lesser-known characters from the comic book universe, knocked science fiction thriller Lucy off the top spot. The space adventure’s takings set a record for a film opening in August. Get On Up, a biography of the soul singer James Brown, debuted in third with $14 million. The Guardians of the Galaxy ensemble casts includes Zoe Saldana and Chris Pratt plus the voices of Vin Diesel and Bradley Cooper. The film also secured the third biggest opening of 2014, coming just behind the $95 million debut of Captain America: The Winter Soldier in April and the $100 million launch of Transformers: Age of Extinction in June. A Galaxy sequel is already set for release in 2017. 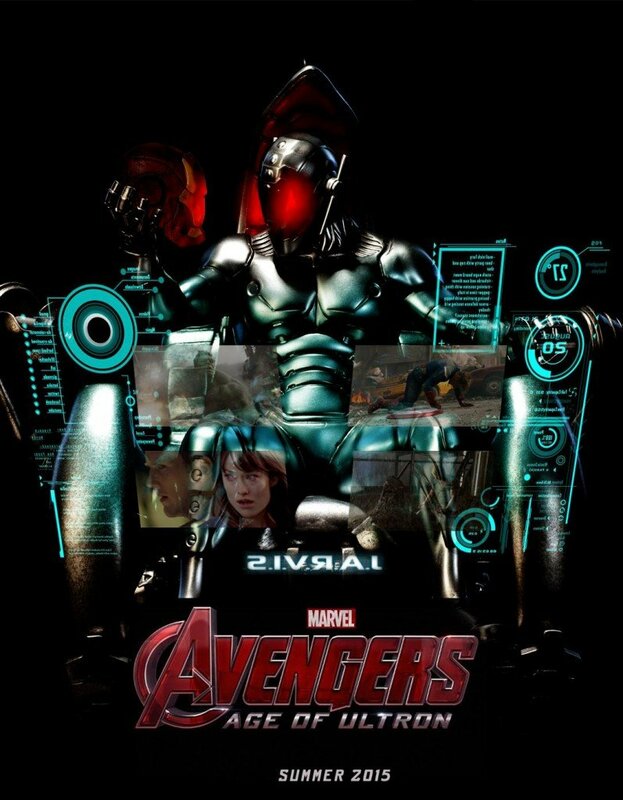 Marvel’s next films are the The Avengers: Age of Ultron and Ant-Man, starring Paul Rudd and Michael Douglas. Both movies are due for release in 2015. Marvel comic book adaptations The Amazing Spider-Man 2 and X-Men: Days of Future Past have also enjoyed success this year. A new Captain America will be African-American, Marvel has announced. 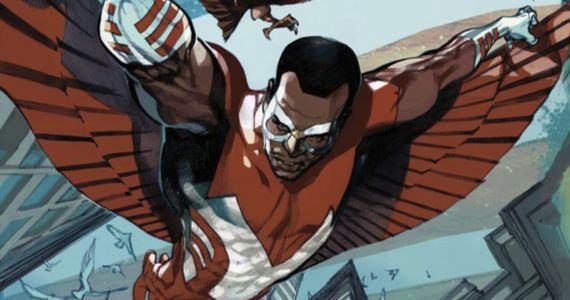 The character Sam Wilson, also known as The Falcon, was named as the replacement for Steve Rogers. The move follows what is described as “a dire encounter with the Iron Nail” which left Steve Rogers unable to carry on. The change of character is only set to affect the Captain America comic book series. Chris Evans, who has played him in The Avengers movie, will also play the role in Avengers: Age of Ultron which is set for release in 2015. Captain America: The Winter Soldier has topped the US box office for a third week. 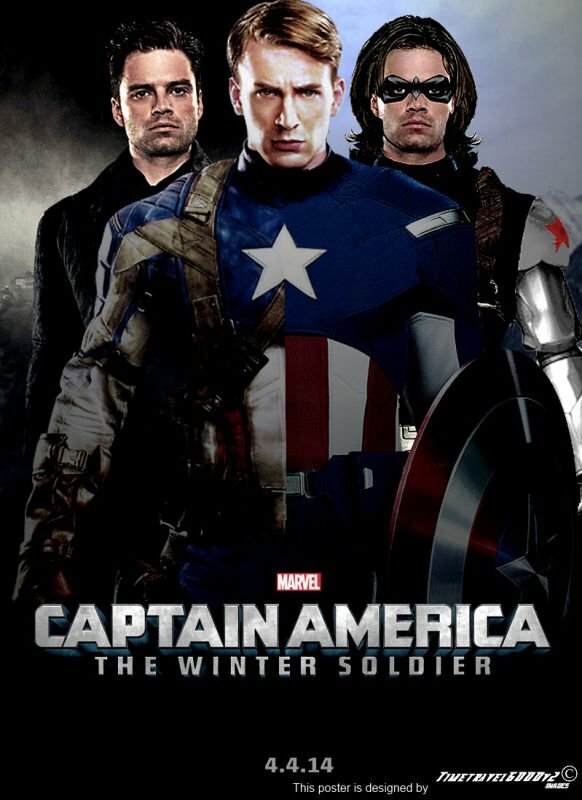 Starring Chris Evans, Robert Redford and Scarlett Johansson, Captain America: The Winter Soldier made $26.2 million, beating avian animation Rio 2 into second place. Heaven is for Real, the story of a young boy who claims to have visited heaven during a near-death experience, was number three over Easter weekend. But Johnny Depp’s new sci-fi thriller Transcendence fared poorly. Directed by Batman cinematographer Wally Pfister, Transcendence sees Johnny Depp playing a dying computer genius, who uploads his consciousness to a supercomputer and achieves a problematic digital afterlife. After suffering poor reviews, the movie opened in fourth place, taking $11 million, a fraction of its $100 million production budget. It is Johnny Depp’s third movie in a row to stumble at the box office, following last summer’s The Lone Ranger and Tim Burton’s comedy misfire Dark Shadows. “As we approach the summer movie season, box-office drawing power becomes more about the concept of the movie rather than its star,” said Paul Dergarabedian, senior media analyst for box-office tracker Rentrak. The US top 10 also contained three movies with a religious theme. Following Heaven is for Real came biblical epic Noah at 9, and God’s Not Dead at 10. God’s Not Dead, about a religious freshman college student who debates with his professor on the existence of God, has made $48 million over the last five weeks, even though it is playing in far fewer venues than the blockbuster fare at the top of the chart.